Muslims around the world must finally learn that the West won’t cave to their demands or tolerate their expectations of special treatment any longer. They must understand that there are certain rules that everybody must follow! The point is, nobody is special, so either get used to it or don’t come here at all! 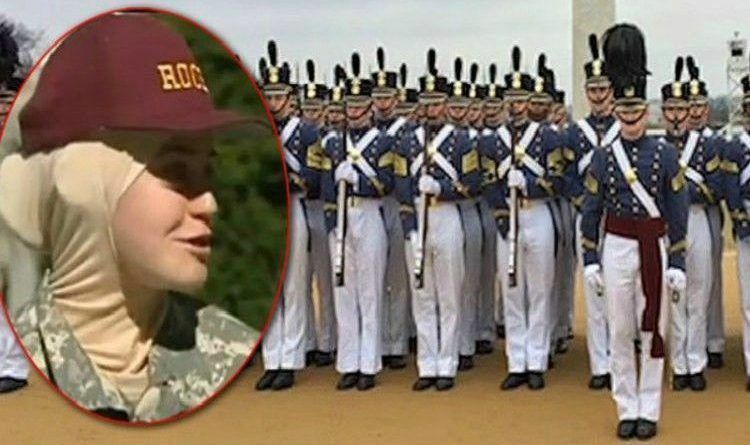 A Muslim student who was preparing to attend a historic military academy in South Carolina tried to force the school to allow her to wear a hijab. The U.S. military, however, isn’t going to tolerate any of it, and they quickly let her know that she is not above the rules. This military academy Citadel has always been an institution of honor, integrity, morals, and Valor. It has a long history and has operated as a school for 175 years. It has not allowed an exception to the dress code once in its entire history. Their students are required to be in uniform at all times while on campus, and can only wear bathing suits while out of swimming and wear what they want during a furlough, which only upper-year students enjoy. Now, an entitled Muslim student is demanding the school break tradition and guidelines to support her religion and protect her feelings. But unfortunately, for her, the Citadel’s president explained the academy’s decision not to submit to her demands. “This process reflects an initial relinquishing of self, during which cadets learn the value of teamwork to function as a single unit,” the president added. The Muslim student is not accepting the school’s decision. Instead, she is suing the school with the support of the terror-funded Council of American-Islamic Relations. She says the lawsuit will go through unless the school allows her to attend in a hijab. Finally, we get a special place that gets to keep its tradition and standards. Absolutely agree! No hijab. You obey the rules of the school (which are known full well ahead of time) or you get out. These Muslims are trying to undermine western culture at every turn. CAIR is leading that charge. They are enemies of our society.